Home/Free Talktime/Earn Talktime counts on Top 5 apps that give free internet data !!! Earn Talktime is the best free mobile recharge app. It gives unlimited mobile prepaid recharges, DTH top-ups, post-paid bill payments etc. This app works on redeem mode. Earn Talktime is one of the smoothest free recharge app which gives you chance to retain apps and earn talktime for retaining an offer. To use Earn Talktime just open Earn Talktime and look for the offer walls. It has some points which get converted into cash. In Earn Talktime you can take this cash out by going to payout area. Payout has two options: take free recharge or get free gift vouchers. Earn Talktime has the best gift voucher payout options of Amazon, Flipkart and Myntra etc. You will have to collect money in your earn talktime wallet then select the redeem option then choose what you want to buy and then you can pay using money from your earn talktime wallet. You can also earn money for every friend you get to download the earn talktime app. It makes your 3G data, 2G data and mobile balance increase day by day. Line App Again with Rs. 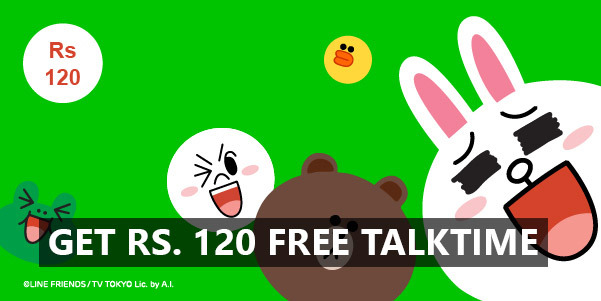 120 Free Talktime !! 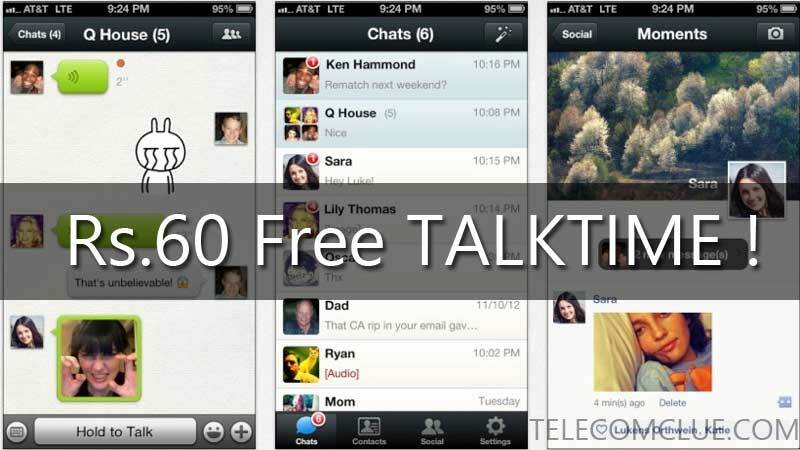 Free Rs 50 Talktime on App Install !! !